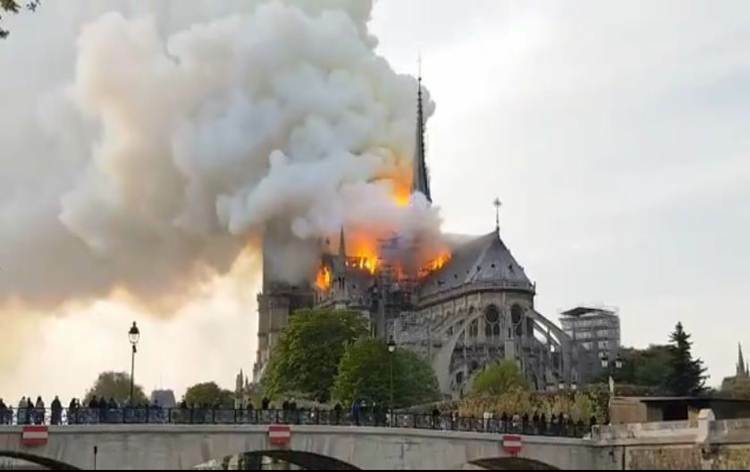 In France, a raging fire that tore through Notre-Dame Cathedral in central Paris has been controled. Firefighters managed to save the 850-year-old Gothic building's main stone structure, including its two towers, but the spire and roof collapsed. French President Emmanuel Macron expressed relief and vowed to rebuild the cathedral described as the soul of the nation. Around 400 firefighters battled into the night to control the flames, declaring in the early hours today that it was partially extinguished but completely under control.